You’ve been thinking of a new hair color but are looking for something unique. While solid colors can be flattering, highlights are a great way to add dimension and interest to your color. You’ve heard of balayage highlighting and you are intrigued, but what is it exactly? Here are a few facts that can help you determine if balayage is right for you. In a nutshell, balayage is a sort of freestyle highlighting. The term balayage comes from a French word that means to sweep or to brush, and balayage highlighting does just that. The stylist becomes an artist, painting in the highlight color with freehand strokes strategically throughout the hair. Compare this with foil highlighting, where the color is wrapped into specific hair sections and is more uniform. While foils work wonderfully for some styles, the freehand style of balayage is more natural looking because it mimics the hair’s natural lightening from the sun. Balayage’s freehand style allows the stylist to create more interesting color intensities, taking advantage of the play between light and dark to emphasize specific areas and de-emphasize others, for a customized, natural look that fits best with your hair’s length, style, and thickness. In the hair that frames your face, your stylist can emphasize your positive facial features. Compared to traditional highlighting techniques, balayage is less noticeable as it grows out since the colored sections are more natural looking. The technique works with your natural growth patterns for a unique, customized look. No one else will have your exact hair color when you opt for a balayage highlighting technique. 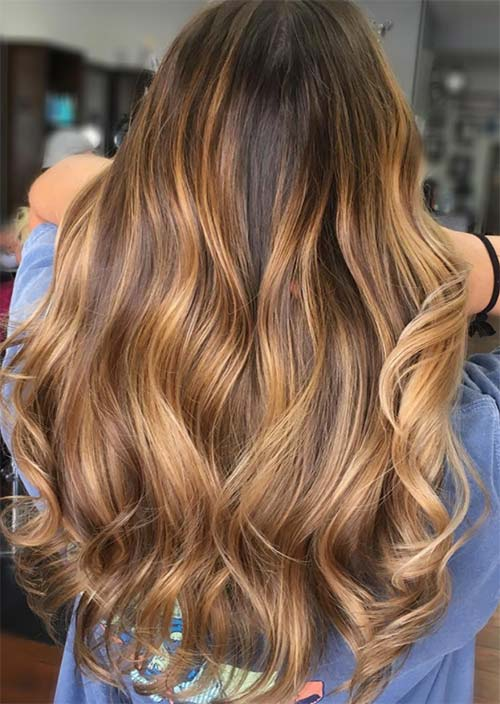 To try balayage or any of our coloring and highlighting techniques for yourself, make an appointment today at Utopia Salon & Day Spa. Our well-trained, professional stylists will help you create the perfect look for you and are dedicated to helping you look and feel your best every day! You can find us at 510 North East Avenue in Vineland, New Jersey or call us at 856-794-9200 to schedule an appointment. Prefer to instantly schedule an appointment yourself? Download our free mobile app at the iTunes Store, on Google Play, or on Amazon.